Interstate Hotels & Resorts today announced its new lifestyle management division, INTRIGUE Hotels & Resorts by Interstate. Incubated for nearly one year, INTRIGUE Hotels & Resorts is focused on delivering innovative culture, style and technology as well as next generation lodging and experiential services to fulfill the curiosities of the modern traveler. 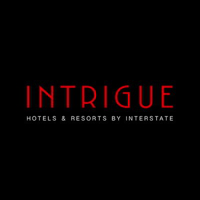 Immediately upon its introduction, INTRIGUE Hotels & Resorts draws from Interstate's decades of experience operating independent and soft-branded properties across the country and around the world including: Nomo SoHo in New York, NY; Hotel Erwin in Venice Beach, Calif.; The Charles Hotel in Boston, Mass. ; and The Marker in Dublin, Ireland. "Blending the global reach of Interstate with a cutting-edge technology platform and a lifestyle-centric approach to hotel management, INTRIGUE enters the market in prime position to be a leader in the management of Independent and soft-branded hotels and resorts," said Michael Deitemeyer, President & Chief Executive Office of Interstate Hotels & Resorts. "Modern travelers are seeking unique experiences and lodging options that suit their particular lifestyles," said Brian Sparacino. "With a separate, specialized operating division dedicated to carefully curating an unparalleled guest experience for our independent properties, Interstate can lead this rapidly growing segment by blending our traditional hotelier experience with a new paradigm for lifestyle property management." The leadership team for INTRIGUE Hotels & Resorts will be based in Arlington, VA and New York City.